La-Z-Boy and Ethan Allen are two of the biggest names in furniture. They’re both well-known brands and have been in business for years. Never the ones to shy away from talking about our competition, we try to do our best to answer this question as unbiased as possible. We know most people shop at multiple furniture stores before making a decision. And we want you to have all of the information you need to make the purchase that’s the best fit for you. In this article, we take an in-depth look at 7 differences between La-Z-Boy and Ethan Allen. Both La-Z-Boy and Ethan Allen have promotions running throughout the year. This allows you to get a great deal on furniture year-round. When comparing furniture on the basis of cost alone, La-Z-Boy and Ethan Allen are similarly priced. However, you may not get the same quality or customer service because you’re paying the same amount of money. Many of Ethan Allen’s complaints are due to poor after-sale service. Some people had furniture that was not delivered on time. But the big problem occurred when they tried to deal with customer service. Read all of Ethan Allen’s ratings and reviews here. Many of La-Z-Boy’s complaints are due to coordinating delivery times. La-Z-Boy furniture is known for their quality. They’re the only company in America that tests their furniture at 2 times the industry standard. 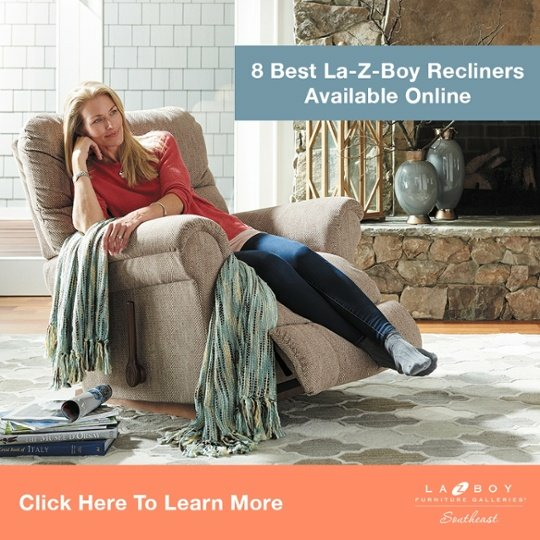 Read all of La-Z-Boy’s ratings and reviews here. Furnishing your home can be overwhelming, and some people consider hiring an interior designer to do it for them. 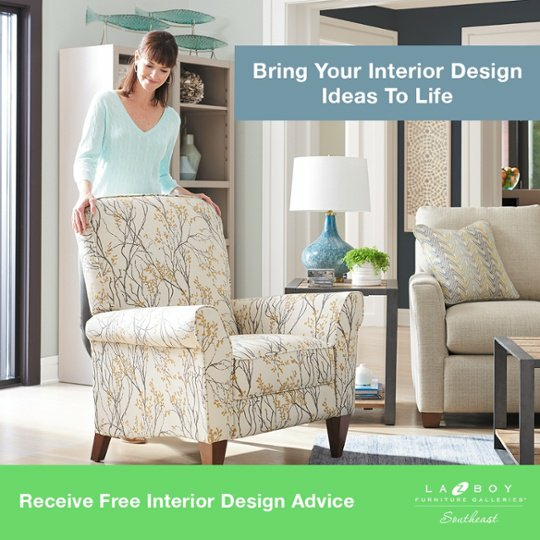 The La-Z-Boy Interior Design Program gives you access to a degreed interior designer for free. This is designed to take away the worry of buying the wrong furniture for your room. Ethan Allen also offers free design services. Both companies strive to make the process of furnishing your home as comfortable as possible. Customizing the style and available options on a piece of furniture truly makes it yours. La-Z-Boy offers the most available options when it comes to customizing your furniture. Customize the fabric, wood, and leather. Customize the handle, footrest, and base on your recliner. Some sofas, couches, and recliners are even available with heat and massage. Ethan Allen offers a custom upholstery service on dozens of their styles. These pieces can be custom fit with your choice of fabric. La-Z-Boy also charges for their In-Home Delivery service. However, they’ll often offer free shipping during special events. Both companies require you to schedule a time when you’ll be home for delivery. So, you’ll have to work with their schedule as well as yours. When you spend a large amount of money on furniture, paying an extra $100 or more for delivery can seem ridiculous. You can learn more about why furniture delivery is so expensive in our Learning Center. An unsightly stain can ruin a new piece of furniture. With iClean Fabric from La-Z-Boy you can relax and stop worrying about stains. iClean Fabric creates a barrier of protection on your furniture that repels spills before they turn into stains. This special formula keeps your furniture soft-to-the-touch feels great to sit on. iClean is only available at La-Z-Boy. Ethan Allen does not offer a stain-resistant fabric. Both Ethan Allen and La-Z-Boy offer a limited lifetime warranty on all of their furniture. Each piece of furniture has different terms and exclusions. Be sure to read the warranties for La-Z-Boy and Ethan Allen to know exactly what they cover and for how long. 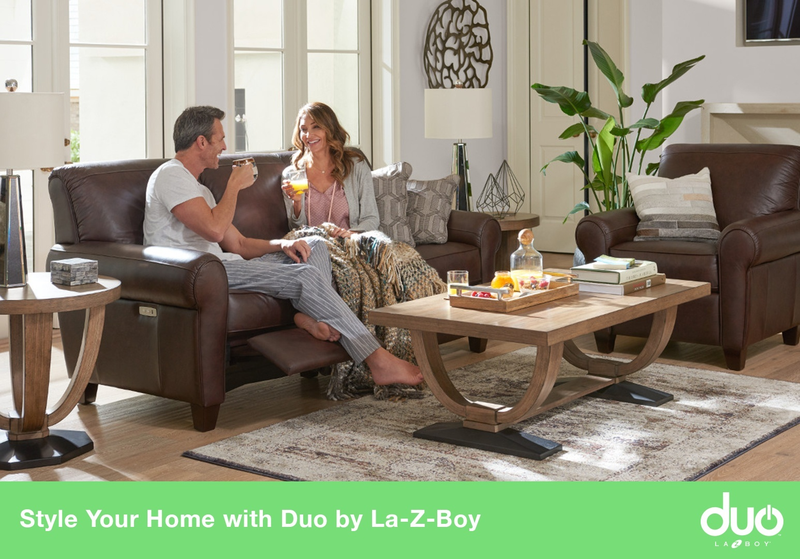 All of La-Z-Boy’s furniture is made in the USA. These manufacturing plants employ Americans and support their local economies. Ethan Allen currently manufactures 65% of their furniture in the United States. Most of their custom furniture is put together in Maiden, NC. La-Z-Boy and Ethan Allen have their advantages and disadvantages. Both companies carry quality furniture in similar price ranges. However, La-Z-Boy puts more of an emphasis on customer service. At La-Z-Boy Southeast, we would be happy to guide you through the process of furnishing your home at any of our locations in GA, NC, and SC.